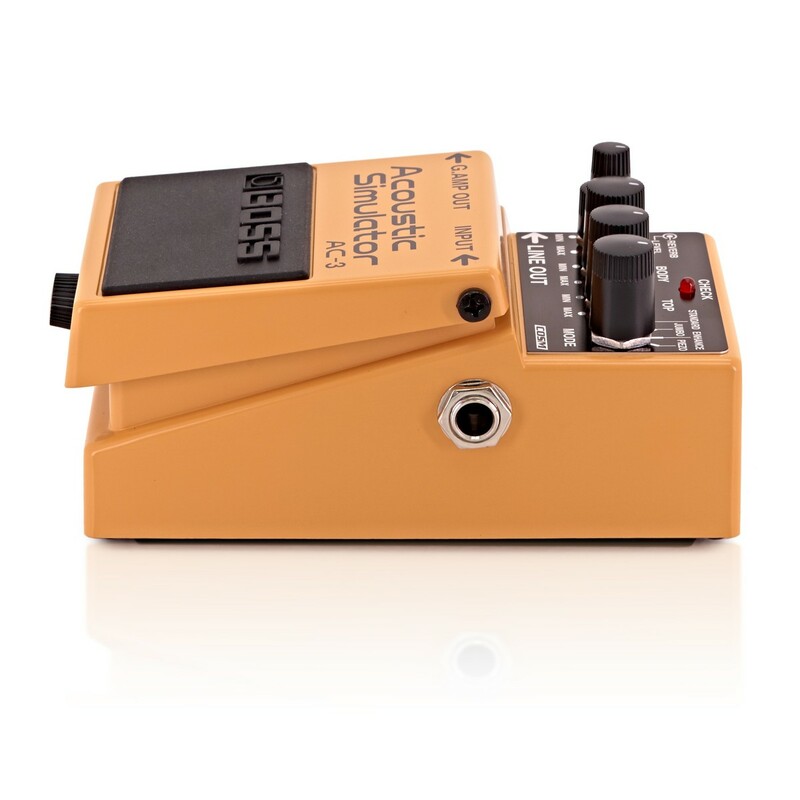 BOSS is pleased to offer another "Authentic BOSS" Compact Pedal; the AC-3. How many times have you been onstage or in the studio with your electric guitar, and wished that you'd brought an acoustic along? For musicians who travel light, hauling an extra guitar to the gig isn't always the most attractive option. BOSS AC-3 to the rescue! 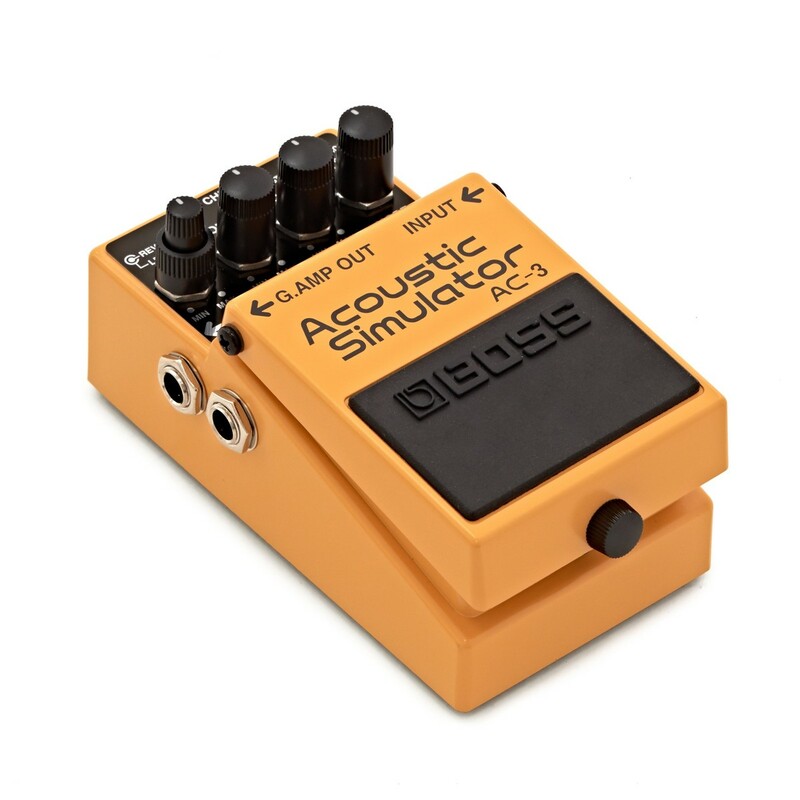 BOSS's COSM Acoustic-Modeling technology is beautifully showcased in this small but powerful pedal, which simulates an acoustic guitar much more precisely and realistically than previous technology allowed. 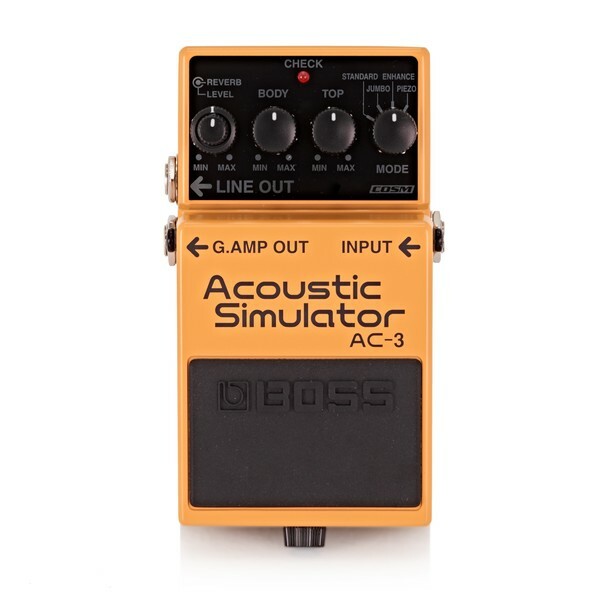 Derived from BOSS top-of-the-line AD-8, the AC-3 simulates the sound of an acoustic guitar with incredible precision. 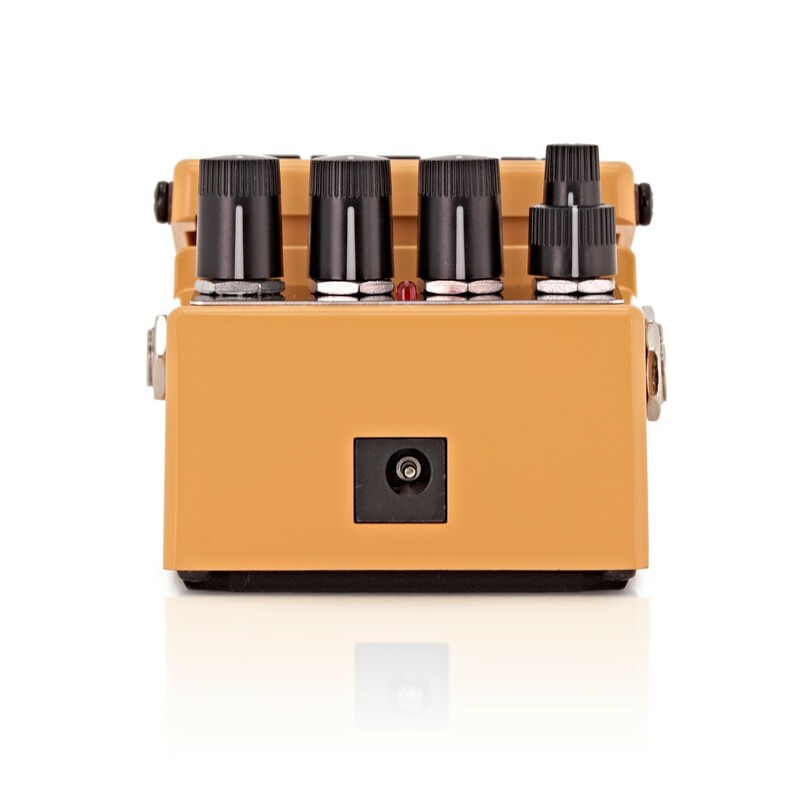 Four simulation modes are provided: Standard, Jumbo, Enhanced, and Piezo-equipped; the latter supplies that famous "cut through the mix" direct piezo sound. Previous compact acoustic-guitar modeling-pedals were promising, but now the bar has been raised with AC-3. Top and Body controls are provided for shaping the characteristics of the four acoustic models. Create the perfect acoustic-guitar sound quickly and easily with simple knob twists, or add depth and space to the sound with the AC-3's built in digital reverb. It's like getting two pedals in one. Weight (Inc. Batt. ): 0.4 kg, 1 lbs.